Caregiving practices in churches often center around listening and giving counsel, making referrals, and creating support groups for specific needs. In Caring Liturgies, Susan Marie Smith proposes that Christian ritual is both a method and a means for helping people through liminal times of transition and uncertainty, even vulnerability and fear. This volume teaches readers to recognize the ritual needs of fellow Christians and thus create post-baptismal rites of passage and healing that might strengthen and support them in the fulfillment of their ministries. 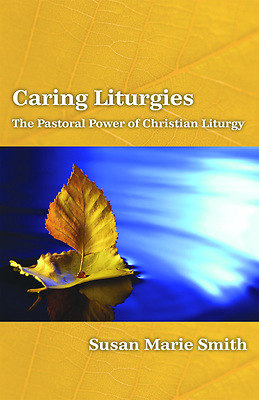 The book extends the usefulness of denominational "occasional services" books and other resources by suggesting ways to build a rite around a central symbolic action, pointing out issues of ritual honesty and ethics, and identifying skills and attributes necessary to preparing and leading a rite. Numerous narrative examples help to flesh out the principles and illustrate the key argument: that rituals are necessary means to enable human growth and maturity, both through times of suffering and times of transition, and that ritual-making leaders are central to the ongoing health of the church.